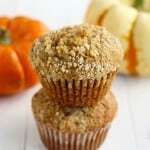 Home » Breakfast » Vegan Pumpkin Muffins with Streusel Topping. Vegan Pumpkin Muffins with Streusel Topping. 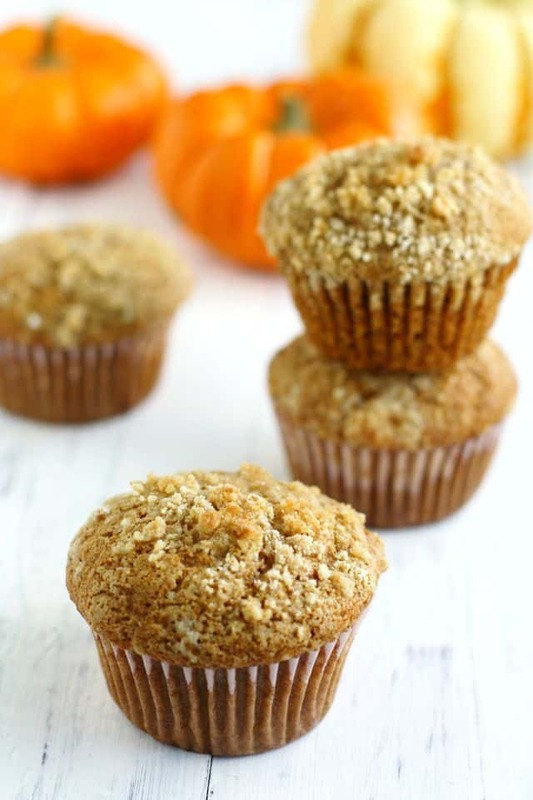 Light and fluffy vegan pumpkin muffins with streusel topping will have you welcoming the cooler weather with open arms! 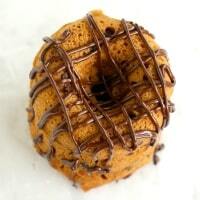 Vegan pumpkin donuts with chocolate glaze? Yes, please! Oh well, I do love fall, so I’m jumping in feet first. The pumpkin baking has commenced, AND I bought three mini gourds at the grocery store the other day. I just can’t resist tiny pumpkins. Vegan pumpkin muffins are pretty much my favorite kind of muffin. These are so moist and filled with the sweet spiciness of pumpkin pie. The crumbly, buttery streusel topping is just the icing on the cake. Well, not really, it’s a crumb topping, but you know what I mean! 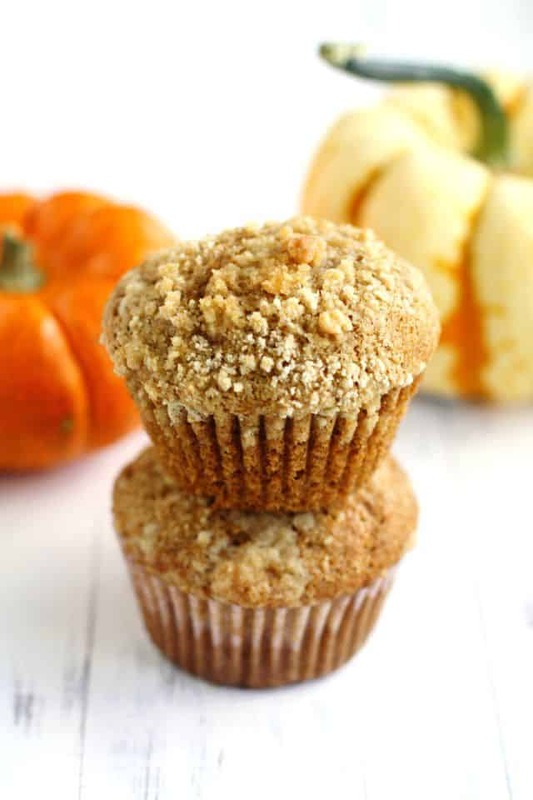 Make these vegan pumpkin muffins with streusel topping for breakfast this weekend – you won’t be sorry! These are just fantastic with a cup of hot cider or tea (or coffee, or hot cocoa, or milk)…okay, they are just fantastic no matter what you drink with them. 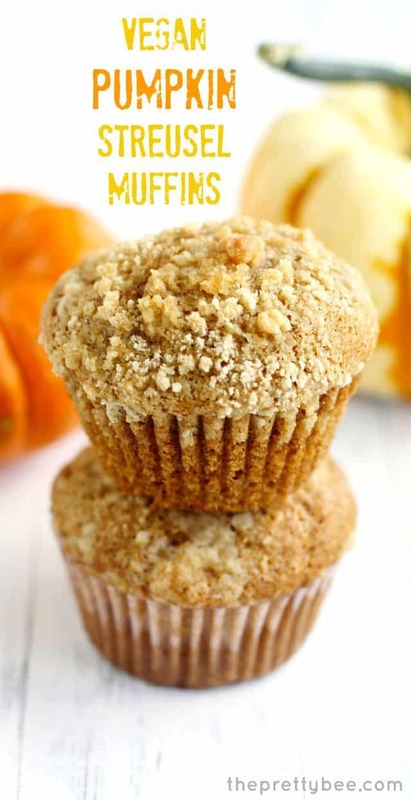 Pumpkin Muffins with Streusel Topping. 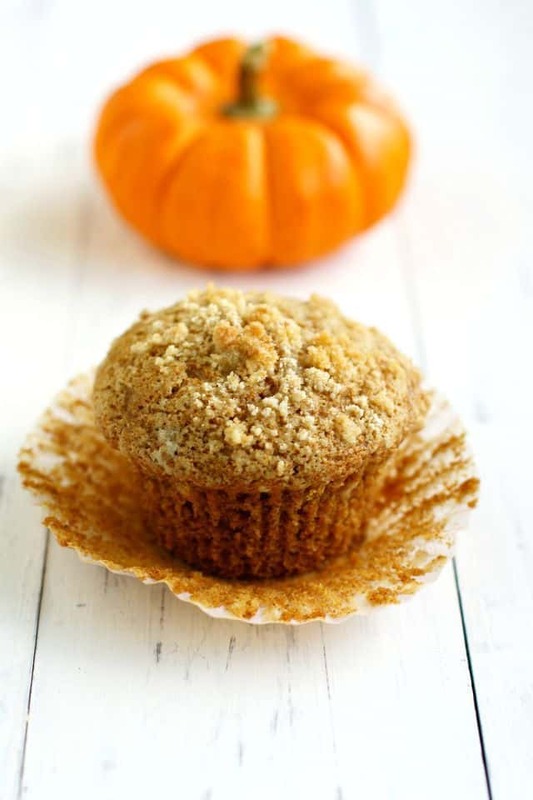 Delicious vegan pumpkin muffins with a streusel topping - these are a wonderful fall treat! Place the dry ingredients in a large bowl and whisk together. Add the non-dairy milk, oil, and pumpkin puree. Mix by hand until combined. In a small bowl, combine the 1/3 cup flour, brown sugar, and cold vegan buttery spread. Use a pastry cutter to mix until the mixture turns into coarse crumbs with some larger butter lumps. Fill the muffin cups 2/3 full with batter. Sprinkle the streusel on top of each muffin. Bake at 350 degrees for 18-22 minutes. Makes 12 muffins. I hope you have a beautiful Indian Summer/Fall weekend! « Slow Cooker Sweet Potato Wild Rice Soup. Nevermind. I found it in there! Oops! I wasn’t reading carefully enough. You may want to add a line space to make it clear for careless skimmers like me! Will do, thanks, Lauren! I hope you love them! These look great and I have all of the ingredients on-hand. I am making them for my birthday to bring to a gathering tonight. I am not getting how to make the struedel part from reading and rereading the recipe. Please help! Thanks. Just made these and they are THE BOMB!!!! Taking them into work to be devoured by all. Finally a vegan recipe that works! Only tweak I made was adding some oatmeal in the streusel topping. Thank you, thank you, thank you! I literally JUST made my first batch of pumpkin muffins for breakfast this morning! Yay for pumpkin! 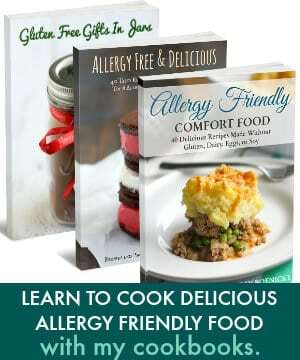 These look amazing and I just love all that glorious streusel! Oh my, I love this time of the year with all of the pumpkin recipes! Arman, thank you so much for the compliment! :) What kind of DSLR did you get? 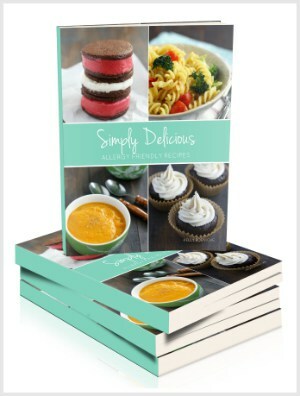 There are some good videos on YouTube for each model, and Pinch of Yum’s Tasty Food Photography eBook s supposed to be very helpful! There is a learning curve for sure, but you’ll get the hang of it! 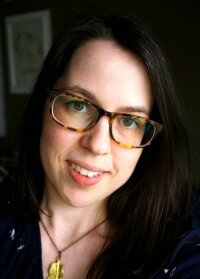 Make sure you practice on things like bowls of fruit and vegetables so that you aren’t trying to learn when you have the pressure of getting the “perfect” shot for a blog post. Try to take it easy and make it fun! Of course! I got a Canon 500D (I think in America it’s called something different) but THANK YOU! off to check out youtube now and will keep practicing! Appreciate it! I’ve been buying squash and pumpkin like a mad woman. Bring on all the fall goodies, and these muffins! These are AMAZING. Definitely a recipe i will be recreating! These look so good!! I haven’t tried baking with spelt flour yet. Love that these are vegan! I’ve been trying to cut back on dairy so I’ll keep these in mind when the pumpkin craving hits :) I’ve already made soup – fall is definitely here! I love spelt flour because it works the same way as all purpose flour, but doesn’t make my sons react the way that wheat flour does. I’m totally in soup mode, too! 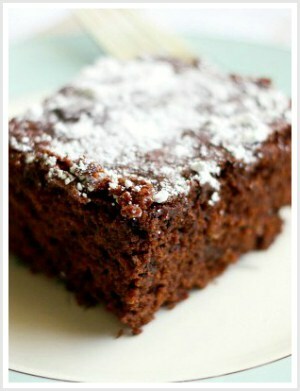 Can I use regular flour to make these? And if so, how much? Yes, just use an equal amount! The crumble on this looks fantastic! I’m with you on the pumpkin recipes. I know it’s only September, but I’m ready to take them on! I love a good pumpkin muffin! It’s not too early at all – I am ready for all the pumpkin! I haven’t baked with pumpkins yet, BUT, yesterday I did buy some cute little pumpkins to decorate my front porch. Even though it was almost 100 degrees yesterday. Wishfully thinking if I decorate like it’s fall, it will start cooling off. These muffins look delicious! Love that you added a streusel topping to them. Yum! 100 degrees! Yikes! I can’t wait to decorate for fall here. It is definitely not too early to start the pumpkin craze! Gorgeous muffins. Can’t wait to get my hands on a pumpkin for all kinds of pumpkin experiments!